Pre schooler games typically have very simple rules and involve movements and sounds. These games can be used to practice skills or retain information. Some skills to focus on with this age group may be spatial awareness, counting, teamwork, word association, fitness, or brain games. When giving directions, an instructor must demonstrate what to do during the game and give scenarios of things that could happen. Instructions need to be simple and given quickly and clearly because the attention span of the children will not last long. 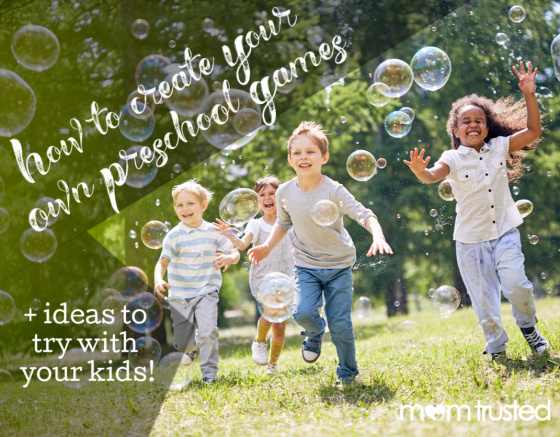 Some of my favorite pre schooler games are things that I have learned as a summer camp director, YMCA day care staff, a physical education teacher, and a sports camp coach. The first game that I would like to share with you is called Lunar Ball. Lunar Ball is mainly a fitness game but can be morphed into practicing and reviewing learned content as well. First, you divide the space into two halves and lay down three hula hoops at each end. Place several balls (or scarves or sponges or anything) in each hula hoop. Do not allow the children to touch these (yet)! Next, split up half of the kids on each side of the play area. The goal of each team is to collect all of the items out of the hula hoops across the playing field and bring it back to the hula hoops on their own side. Each student can only collect one item at a time and no children can touch each other or guard the hula hoop. Essentially there is no end to the game and the kids will run back and forth giggling for as long as you want them to! Remember to modify this game to meet the needs of your students and force them to use their newly learned content (colors, shapes, locomotor skills, etc). Another game for pre schoolers that is easy to gather materials for and great for practicing gross motor skills is Obstacle Course. Look around at what equipment and space you have and let your mind go wild! Create structures that the kids have to crawl under, jump over, run around, climb, squeeze between, or even solve simple puzzles at. Always keep in mind safety and be prepared to modify the activity if needed. Also, remember that at this young age, competition is less important than fun and support from peers.